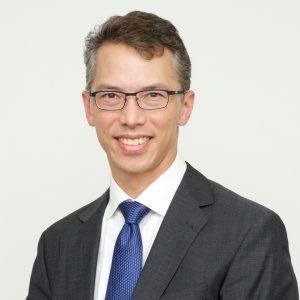 Dr Philip Gan is a General/Minimally Invasive and Bariatric Surgeon based in a regional centre in southwest Victoria, Australia. He gained his medical degree from the University of Melbourne in 1991 and Fellowship of the Royal Australasian College of Surgeons (FRACS) in 2001. His areas of interest include advanced laparoscopic surgery and medical device innovation. His laparoscopic work has encompassed a broad range from bariatrics, fundoplication, splenectomy, cholecystectomy, colorectal and hernia surgery, all approached with a variety of Minimally Invasive Surgery (MIS) techniques including reduced port, single port, mini-laparoscopy, percutaneous and hybrid transvaginal Natural Orifice Transluminal Endoscopic Surgery (NOTES). Dr Gan is the inventor of the LiVac® Retractor and LiVac Sling®, both registered medical devices targeting the MIS field, and encompassing three Patent Applications (one already granted in 5 territories). He was Principal Investigator (PI) in both animal and clinical studies for the LiVac® Retractor, and was the only regional centre PI during the pilot phase of the Australian National Bariatric Surgery Registry. Dr Gan has published and presented internationally in the United States, Europe and Asia on MIS techniques and the LiVac devices. He has been an invited guest speaker on MIS for Karl Storz, Teleflex, the Masters of Minimally Invasive Surgery course (MA degree) through the University of Adelaide, the 2nd International Consensus Conference on Laparoscopic Liver Resection in Iwate, Japan (2014) and was the first presenter at the inaugural Innovation Forum Session of the ASMBS (Las Vegas, USA 2016). He is a Senior Lecturer at the Deakin Medical School in Victoria, Australia.